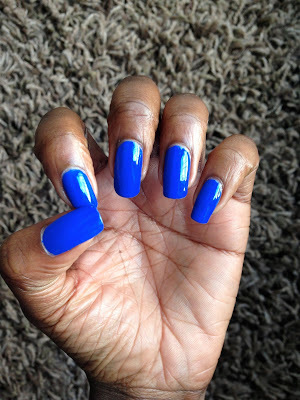 The dagger nails were every where last year and a popular choice for many when hitting the nail bars. They were favoured by many, including myself because of it femininity and also because of the fact that they help to elongate your fingers. They were made popular by the likes of Rihanna and Lady Gaga but in my humble opinion they have now run its course and are slowly taking a back seat. 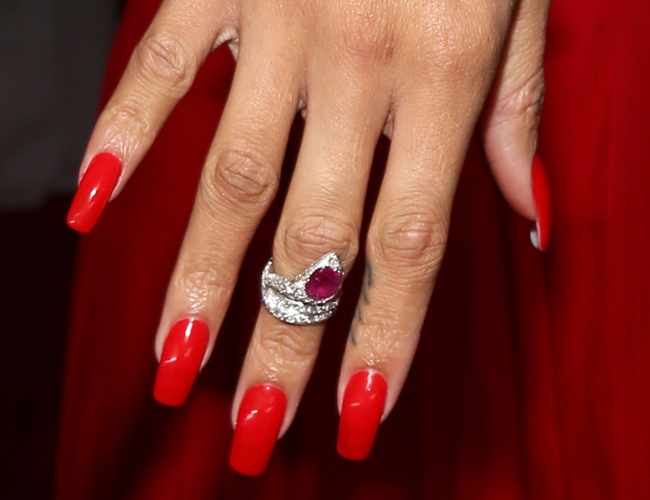 Like all things in fashion they go around in circles and now it is the turn of the square cut nails to make a comeback and take centre stage, as seen on Rihanna below. The square cut nails have been dominating the celebrity scene thanks to Rihanna and they are gradually winning the hearts of the masses too. She leads the fashion pack and I give her all the credit for bringing them back into fashion. They may have been a dated look last year but this year, all that's changed and they are back in. The key is to have your nails long and slender with a square cut finish to achieve this fashion forward look. I'm currently rocking the all famous baker street nail varnish by nails inc with my square cut finish albeit a little bit on the short side because of an unfortunate 'nail casualty' on one finger which meant I had to cut them all short. Peep my version below.